Bayer Leverkusen will host the league leaders at the BayArena. The home side are heavily motivated to continue their unbeaten streak, but they are up against a difficult opponent. Bayer Leverkusen have been playing some of their best football this season in the previous rounds. Out of the last five games, they have won three and drawn two. They hold the number four slot at the table with twenty-eight points from the first seventeen games. In the previous round, they drew against Hannover by the score of 4-4. FC Bayern Munich hold the number one spot in the league standings. They have been dominant this season and right now they have eleven points more than the second-placed Schalke. They accumulated forty-one points from thirteen wins, two draws, and two losses. The Bavarians are on a four-game winning streak. Last week they faced Stuttgart and won by the score of 0-1. Stuttgart put up a heavy resistance and even had a chance to equalize from the penalty spot in the late minutes of the second half stoppage time. Muller of Bayern was the only goal scorer in this game. 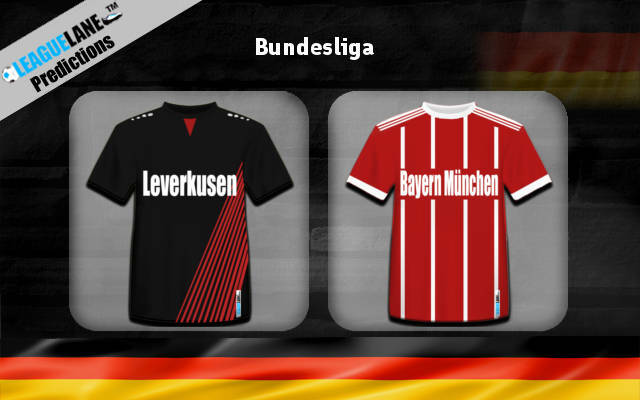 FC Bayern Munich are the favorite in this one. They have everything going for them, starting from their great form to their great h2h results against their rivals. Going for a win on Bayern is the main bet. For those who want a higher reward, paring a Bayern win with over 2.5 goals is a great opportunity since the two sides historically average a high number of goals in personal matches.